So if you have been near an ABC station over the past few days, you must have noticed the hundreds of previews for the show, "The Deep End," about some top grad lawyers, who are just starting out in the world. 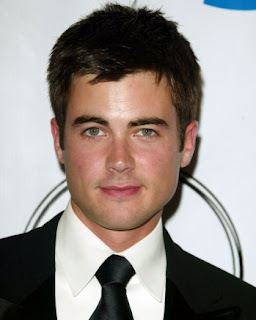 One of the principle roles is played by Matt Long, the star of other projects such as "Jack and Bobby," and the 2009 film "Homecoming." He kind of annoyed me on "J and B," but he didn't exactly do a bad job. It was just annoying. I cannot wait to see "Homecoming," where he plays the lover of both Mischa Barton and Jessica Stroup. I adore Jessica Stroup because of her screen presence and nonchalence. Mischa Barton is not so adorable anymore, but all the OC memories would flood back. So "The Deep End" looks decent, and it is definitely worth checking out. I just hope that it can compete with the other giants of the Thursday 8Pm spot. "The Deep End" airs this week, Thurs 8/7 Central on ABC. Good Luck Matt Long and crew. QATFYG: Do you like Law shows? Would you be friends with Jessica Stroup? And will The Deep End succeed?